Pierre Christophe is an award winning jazz pianist with whom Wendy has been playing for quite some time. They recorded the album » All you have to do » in 2008. Wendy has also performed with the Pierre Christophe Trio (Raphael Dever on bass and Mourad Benhammou on drums). 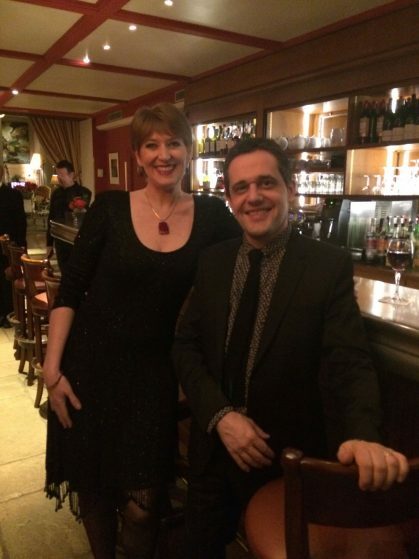 As a duo, Pierre and Wendy currently perform regularly at Café Laurent, a cosy Parisian cocktail bar in Paris’ left bank district. For upcoming performances, please click on the events tab, if you’re interested in hiring us, please send an email via the contact page. Cette liste de concerts concerne uniquement des concerts avec Pierre Christophe.